Friendship, forgiveness, and a crazy little thing called love saves the day in the pitch perfect Rose: A New Musical. Hailey Gillis (centre) proves sometimes you gotta rise above the clouds for a clear perspective of who you really are. You have to give it up for theatre’s movers and shakers at Soulpepper. When they strive to create ‘Family Festival’ fairing to entertain the masses as equally—if not better—than the major touring productions making stops in our city, they send home smiley faces galore. An extension of the book The World Is Round, we’re talking a company project that took three years to find all the right musical notes, story threads, and utter silliness to fit together nicely for a memorable experience. The end result is a highly stimulating journey that makes it so good to feel young again. The irresistible town setting is made up of multi-dimension conical characters of including an Assistant School Custodian, Travel Agency Sales Rep, Physician, Step Dancing Instructor, the Oldest Woman in town, Weatherman, Fitness fanatics, a Cat Lady, and more. Yet the focal point of the production that blooms with so much charm features an almost 10-year old Rose (Hailey Gillis) who discovers that being a little girl in a little town placed on a circular planet is by no means as easy as it sounds. Her favourite colour is blue, she cries when she’s overwhelmed or angry (so does her faithful and devoted dog) but her bigger problem that is due to some sort of complication she cannot say her own name. A determined Rose sets out to do something new and find out precisely who she is. What follows is a stupefying expedition taking young Rose to extremely high places. Keenly cute and surreptitiously surprising, the end result is a delightfully song structured event that makes it so good to feel young again. Music man, Mike Ross, composes roots rock numbers that you’d find yourself playing at home making dinner. Aside from the almost SNL sketch like moments that bloom from the offering, it’s impossible to escape the all-important message about the connectivity between people, the opportunity to help one another and the wanton desire to go it alone and figure it out yourself. 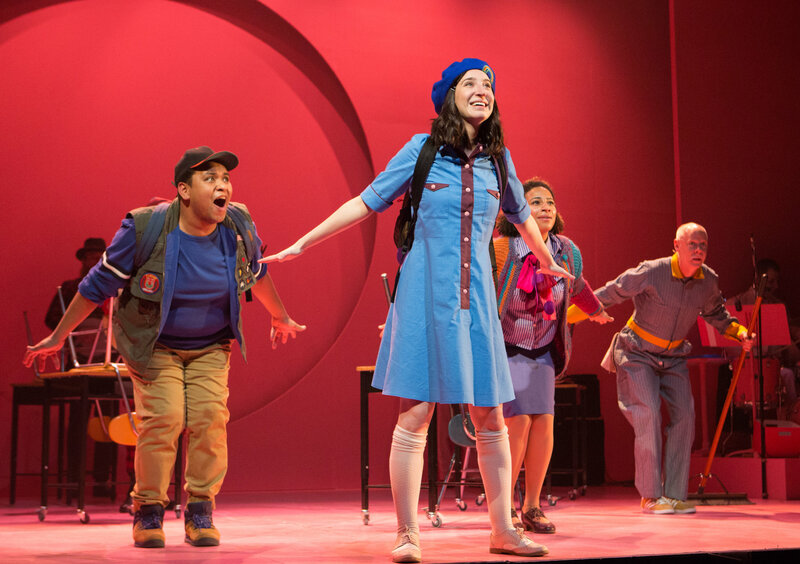 Rose: The Musical is a February thaw of the heart we all deserve.